Today I have a special interview with Tony P. of Warscroll Builder fame. 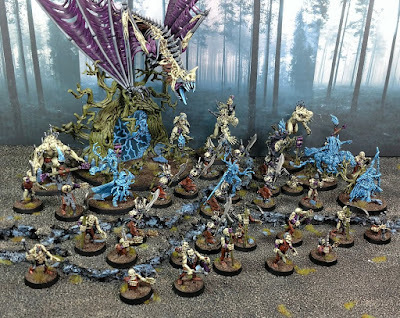 This website has been a hugely important part in the initial and continued growth of the hobby, so much so that GW themselves reached out to him and integrated it into their own Community site! Tony talks to us a bit about his hobby, the origins of the site, and more. Tyler: How long have you been involved in the Games Workshop hobby and how did you first get started with it? Tony: I’ve been playing Games Workshop games for about 20 years now. Started with a friend when he bought the 40k starter box from a local hobby store when we were kids. I attended my first tournament around 10 years ago, where the amount of players and quality of armies blew me away. The community was super great and after that I knew I wanted to up my paint game and compete in tournaments on a regular basis. Tyler: What was your initial reaction when Age of Sigmar came out? Tony: I was pretty excited for the new rules, specifically how warscrolls worked and the new terrain rules, but was concerned with the lack of a means to balance the game, like most people. I played in multiple large tournaments a year and I wasn’t sure how the game was going to continue on without a point system. Tyler: How did Warscroll Builder come about? Tony: Related to the previous question, the first attempt to balance our games was done using wound count. I work in software, so I figured I could write something that would help make adding up wounds for an army a little easier. 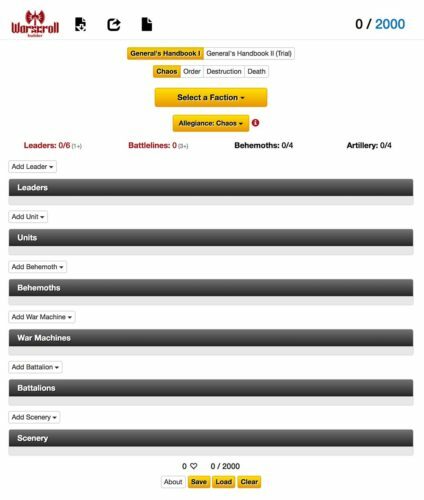 I spent some time learning about web development and it wasn’t too much longer before I had the first version of Warscroll Builder finished. When community created point systems started to come about, I began to support those (with the help of the community!) and pretty soon the site became quite popular. Tyler: When GW released their official points did you have any concerns over your website? Tony: Of course! But I knew their solution was a good one, so I was just glad to have a common system for everyone to use. Tyler: Can you tell us a bit about how your partnership with GW came about? Tony: Shortly after the General’s Handbook came out, Andy Smillie (the head of the GW community team) reached out to me about integrating the site with the Warhammer Community site. Needless to say, I was pretty stoked. 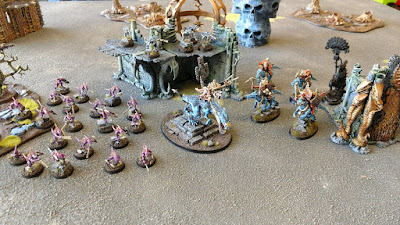 We met up while Warhammer Live was at LVO to discuss the details on how we could do it and once that was figured out, we started getting to work transitioning it over. Tyler: How do you feel having Warscroll Builder hosted on the Community Site? Tony: I am pretty proud to have it being hosted there. I spent a lot of time developing the site and wasn’t quite sure how long it would last. Working with GW has been pretty awesome, and I’m very happy with the way things have turned out. 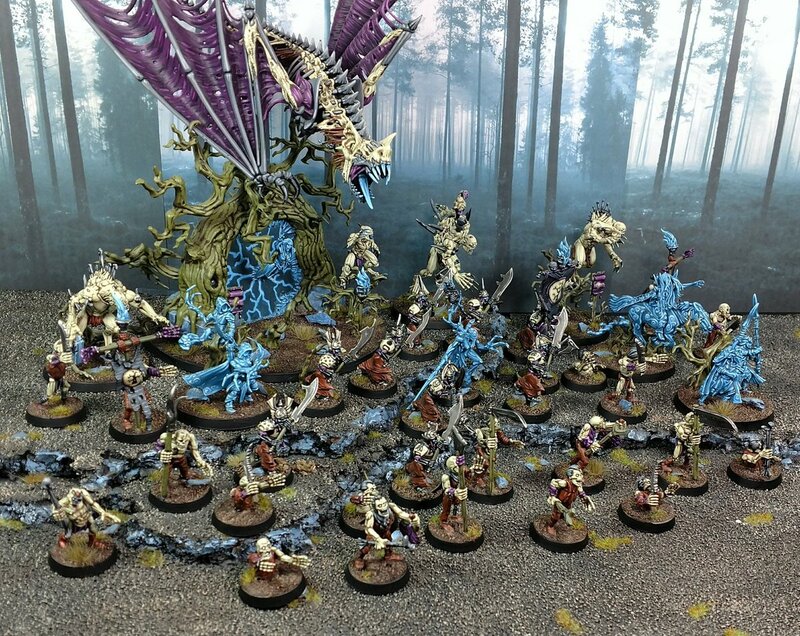 Tyler: What armies do you play and collect for Age of Sigmar? Tony: I currently play Seraphon, Sylvaneth and Death (mostly Flesh-eater Courts). I also have Beastmen, Wood Elves and Chaos Dwarves I’m currently transitioning over to AoS as well. Tyler: Do you play 40k and if yes, did you ever consider building a similar website for it? Tony: I’ve collected T’au since their release and used to play quite often. These days it’s hard to find time for both systems. I’ve played a few games of 8th (which I’ve really enjoyed) but dragons and knights will always be my thing, so I mostly play Age of Sigmar. A 40k version of Warscroll Builder could be pretty cool, but we’ll have to see if that happens or not. Tyler: Can you tell us anything that you may have planned for Warscroll Builder in the future? Tony: All I can really say is that I’m currently working on the updates for General’s Handbook 2017, which I am very excited for. There is a lot of cool stuff in there but I personally can’t wait to get my Seraphon on the table with their new allegiance abilities! Tyler: How can people give feedback on Warscroll Builder? Tony: People can always send feedback to warscrollbuilder@gmail.com. Feedback is always appreciated. Tony's Death army. 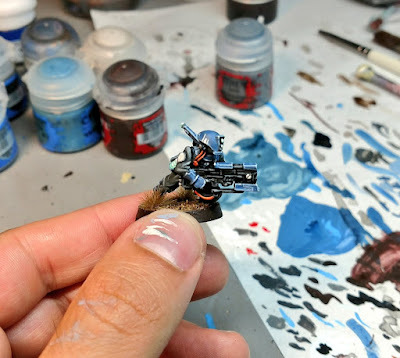 All his stuff is so well painted! Tony: Just a thanks to everyone who helped support Warscroll Builder in its early days and a thanks to Games Workshop for being awesome! 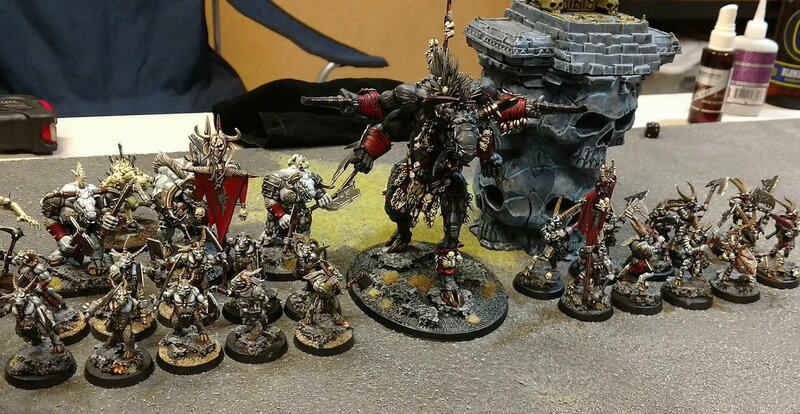 I would like to thank Tony for taking the time to do this interview, and of course thank him for the awesome Warscroll Builder site that I tinker around in probably every day. 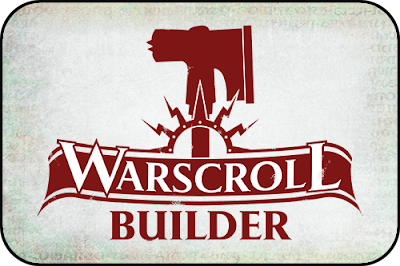 You can find Warscroll Builder at its new home on the Community site here.